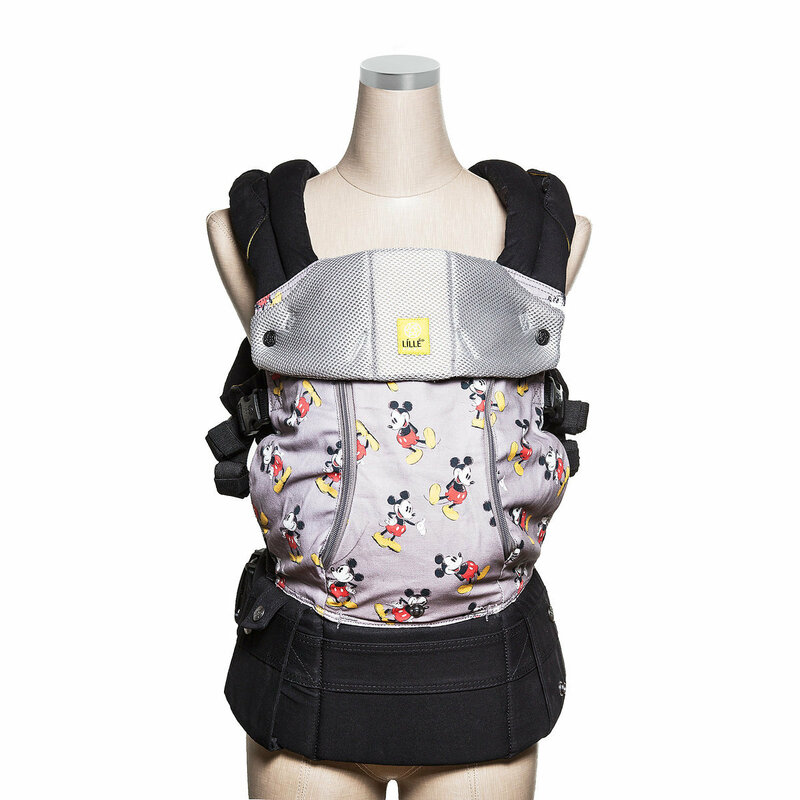 The adorable Mickey Traditional is a gray pattern featuring black and gray mesh. If your style is a bit more subtle then the Mickey Embossed style is for you. 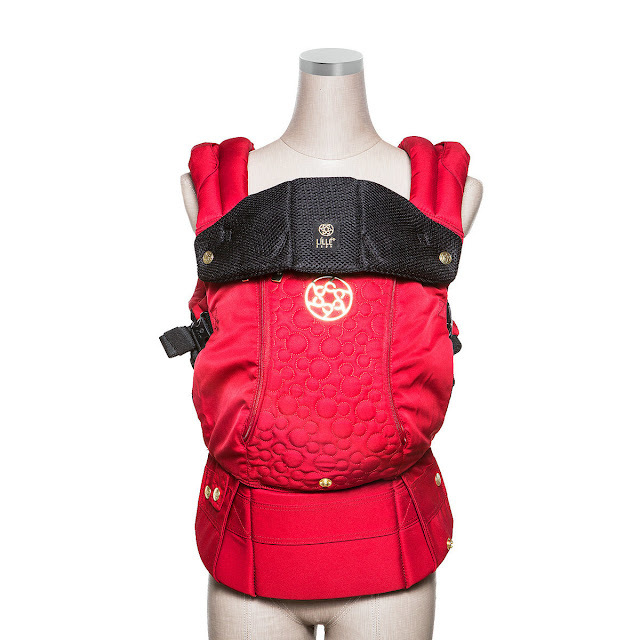 The red pattern with black and gold accents has embossed "hidden Mickeys" to make baby carrying extra magical. Both versions are available with a matching doll carrier. How adorable? Where were these when my son was a little mouseketeer? The fun news is that additional prints will be released between spring and summer with additional Disney characters! I can't wait to see what adorable additions are added. Omg these are too cute! I love the mini version for the kids. 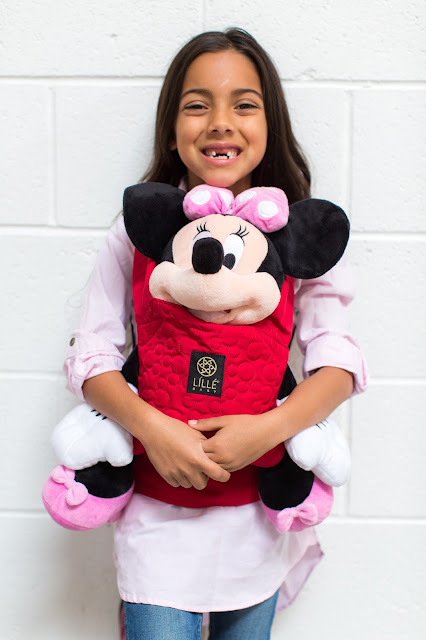 Super adorable and perfect for those little ones that always take their stuffed animal everywhere they go but drag them or lose them. 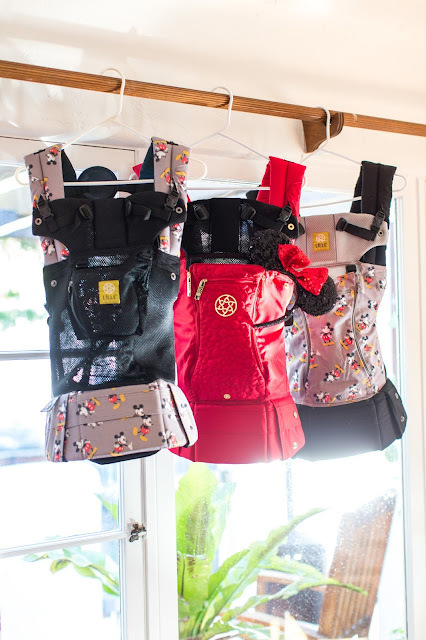 These carriers are adorable! I wish they had Disney Print when I purchased my Lillebaby back in 2015.